Focaccia. Flageolet beans. Feta. Can’t stop to talk long, going to an ‘F’ Foods potluck. Figs. Forest-foraged fungi fettucini. Fusilli e fagioli. See, these people I know have these potlucks where they make foods beginning with a certain letter of the alphabet. Tonight is F.
Frisee. Ful medames. Falafel. 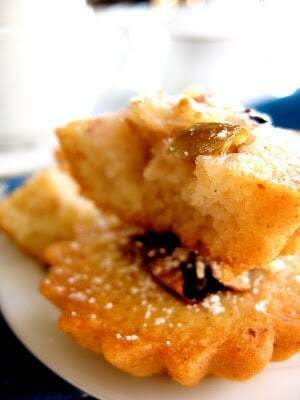 So I’m making Fig and Frutti di bosco Financiers. 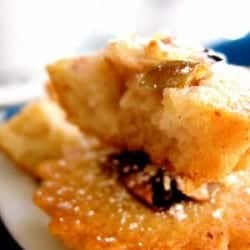 What are Financiers? Well, I’ll tell you. They are buttery little teacakes made with ground almonds. They got their name when a Parisian bakery near the stock exchange baked them in little molds resembling gold bricks (no doubt, the result of all that golden butter, or beurre noisette). Flounder fillets. Fougasse. Flaxseed. 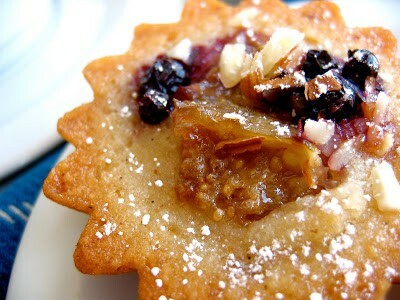 Financiers are one of my favorite foods for a number of reasons. Reason #1: Loads of vanilla-bean infused brown butter. Need I say more. Go make these! Reason #3: Seven (count ’em, seven!) egg whites! Finally, a delicious way to use up extra egg whites that doesn’t feel like punishment (hear that, meringues?). Fudgesicles. Farro. Fennel. The batter mixes up quickly and easily, and keeps in the fridge for days. 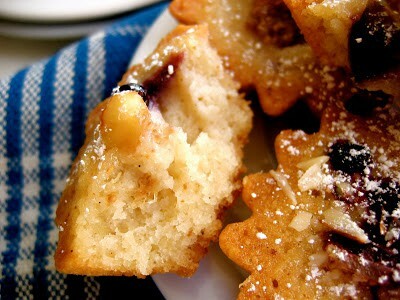 Bake in mini muffin tins, or a 9″ round cake pan. But please, butter and flour your molds well; you don’t want to find yourself flustered, frustrated and freaked out by sticky cakes. 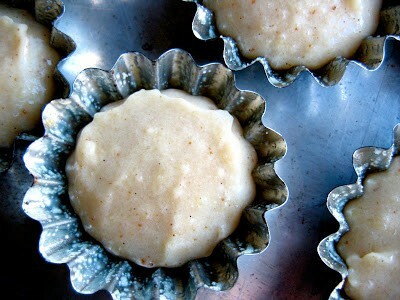 You will love these buttery little teacakes made with ground almonds! Servings: 24 mini cakes, or one 9" round cake. Position a rack in the center of the oven and preheat to 375º (or 350º for one large cake). Use a pastry brush to coat the molds with softened butter. Dust evenly with flour, and tap out the excess. Combine the 2 sticks of butter and vanilla bean pod and scrapings in a medium saucepan. Cook over medium heat, swirling occasionally, until the butter browns and smells nutty, 5 - 10 minutes. The butter will foam up, and the milk solids on the bottom of the pan should be a rich brown color, not black. The rest of the butter will remain golden-amber. Watch it carefully, as it can go from brown to burnt in little time. Remove from the heat and let cool sightly. Meanwhile, finely grind the almonds with the flour and salt in a food processor (or a coffee grinder in batches). In a heatproof metal bowl, combine the egg whites and sugars. Place over a low flame (or a pot of simmering water) and whisk until the whites are warm to the touch and the sugars are dissolved. 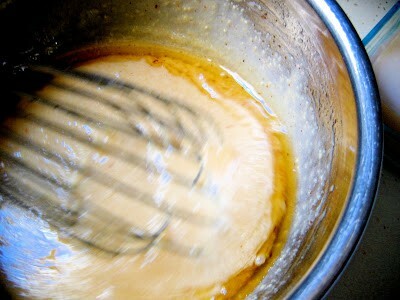 Remove from the heat, and whisk in the almond mixture. Place the bowl on a damp towel to secure, and gradually whisk in the warm butter, 1/4 cup at a time, so that the mixture emulsifies. The batter can be baked directly, or stored in the fridge for several days. Fill the molds two-thirds full. Bake the for about 10 minutes. 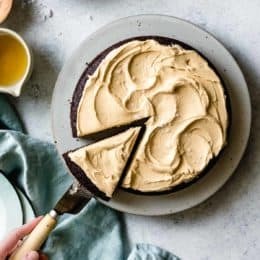 Remove the cakes, and top with the desired toppings (otherwise, the goodies will sink to the bottom). Continue baking, rotating occasionally, until golden brown on top, an additional 15 minutes or so. Let cool slightly, then remove from the molds. 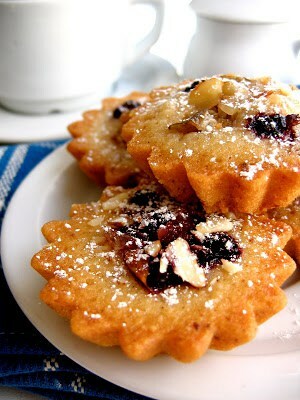 Serve warm or at room temperature with a dusting of powdered sugar. The financiers are best the day they are made, but you'll hear no complaints several days later if stored in an airtight container. Adapted slightly from The Sweet Life, by Kate Zuckerman. You can make these with pre-ground blanched almond flour, but they are even tastier with unblanched whole almonds, toasted lightly, cooled, and ground. The almond skins give the cakes a darker color and a hint of bitterness that enhances the sweet cake. (If using almond flour, 1 cup plus 2 tablespoons should weigh 5 ounces). If you make custards or ice cream and end up with extra whites, you can freeze them for several months. If you're looking for a way to use up your yolks, try the horchata ice cream or the creme caramel, with or without candy caps. Small cakes make nice finger-food; slices from a large cake make an elegant dessert with a fruit compote and dollops of softly whipped cream or crème fraîche. Nutritional values are based on one of twenty four mini cakes. You can make these with pre-ground blanched almond flour, but they are even tastier with unblanched whole almonds, toasted lightly, cooled, and ground. The almond skins give the cakes a darker color and a hint of bitterness that enhances the sweet cake. (If using almond flour, 1 cup plus 2 tablespoons should weigh 5 ounces). If you make custards or ice cream and end up with extra whites, you can freeze them for several months. 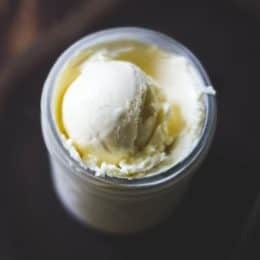 If you’re looking for a way to use up your yolks, try the horchata ice cream or the creme caramel, with or without candy caps. Small cakes make nice finger-food; slices from a large cake make an elegant dessert with a fruit compote and dollops of softly whipped cream or crème fraîche. Combine the 2 sticks of butter and vanilla bean pod and scrapings in a medium saucepan. Cook over medium heat, swirling occasionally, until the butter browns and smells nutty, 5 – 10 minutes. The butter will foam up, and the milk solids on the bottom of the pan should be a rich brown color, not black. The rest of the butter will remain golden-amber. Watch it carefully, as it can go from brown to burnt in little time. Remove from the heat and let cool sightly. Let cool slightly, then remove from the molds. Serve warm or at room temperature with a dusting of powdered sugar. 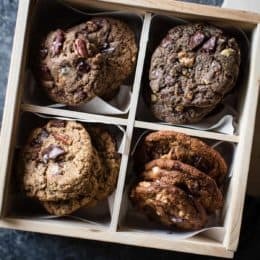 The financiers are best the day they are made, but you’ll hear no complaints several days later if stored in an airtight container. These were the bomb! Incredibly delicious!